Heimdall Data has been educating the market on the performance impact of data latency and the need for SQL caching. The awareness is paying off. 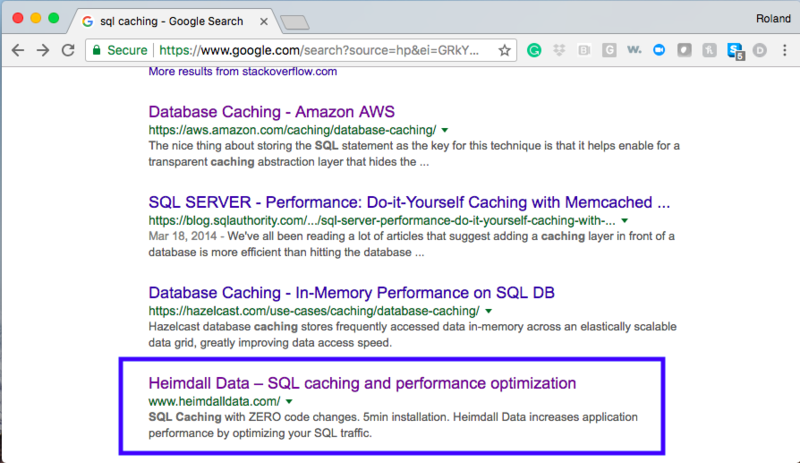 Heimdall is now on the 1st page of Google search for “SQL caching” (see below). And the other preceding search results are partners we support. How Heimdall Data unique?